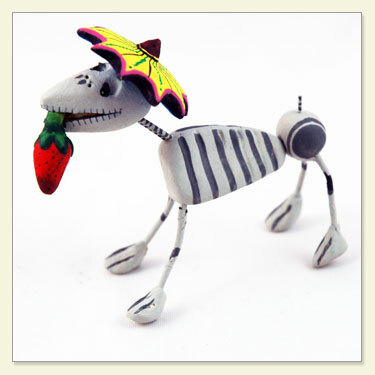 This creative dog figurine was created by the renowned Castillo family studio. No two are exactly alike. Hat styles and colors will vary.